The first castle on the site was an unauthorised fortification, built during The Anarchy of the early 12th century and torn down later in the century when royal control was reasserted. 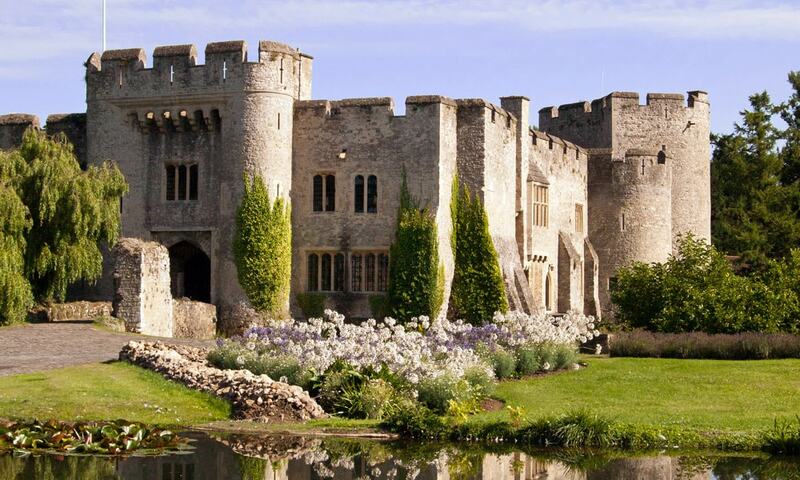 It was replaced by a manor house, which was fortified with royal permission in the 13th century. Various alterations and expansions were made by successive owners over the following two centuries. The property was developed into a fortified compound with six towers at irregular intervals along the curtain wall and domestic buildings in the interior. It is currently the home of Sir Robert Worcester, the founder of the MORI polling company. It is a grade I listed building and is used as a wedding venue, though there is no public access otherwise.